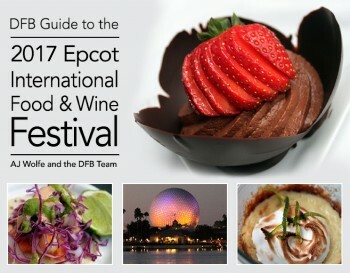 It’s time to figure out which items are your Must-Eats at the World Showcase booths for the 2017 Epcot International Food and Wine Festival! 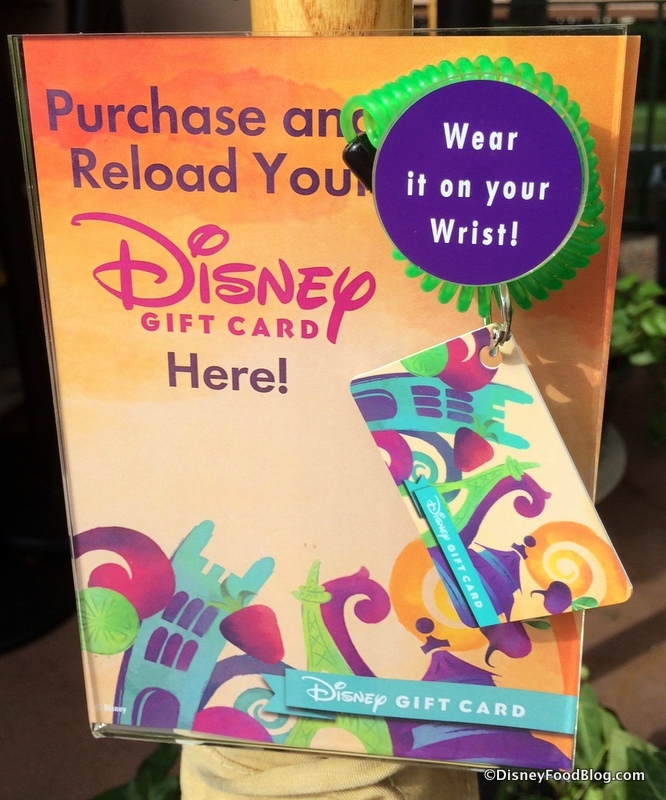 This year, the event runs every day from August 31 through November 13! That’s a record 75 days! 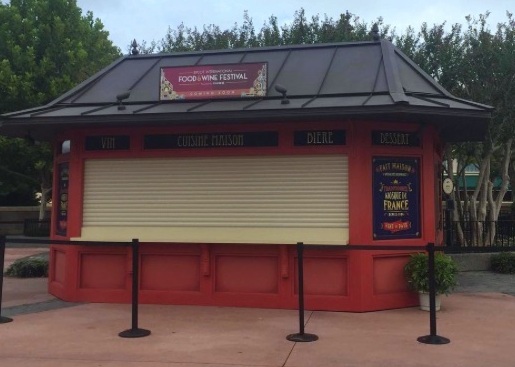 But in addition to a record number of days, the festival is also featuring a record number of marketplace booths — 35 to celebrate the 35 years since Epcot first opened! Because it’s going to be such a special occasion, we recommend that you start planning before you go! Order your 2017 edition today! Active Eats – NEW! <– CLICK TO SEE PHOTOS OF ALL MENU ITEMS! 2017 Africa <– CLICK TO SEE PHOTOS OF ALL MENU ITEMS! The Almond Orchard Hosted by Blue Diamond Almond Breeze – NEW! <– CLICK TO SEE PHOTOS OF ALL MENU ITEMS! 2017 Australia <– CLICK TO SEE PHOTOS OF ALL MENU ITEMS! 2017 Belgium <– CLICK TO SEE PHOTOS OF ALL MENU ITEMS! 2017 Brazil <– CLICK TO SEE PHOTOS OF ALL MENU ITEMS! 2017 Brewer’s Collection <– CLICK TO SEE PHOTOS OF ALL MENU ITEMS! 2017 Canada <– CLICK TO SEE PHOTOS OF ALL MENU ITEMS! The Cheese Studio, Hosted by Boursin® Cheese – RETURNING! <– CLICK TO SEE PHOTOS OF ALL MENU ITEMS! 2017 China <– CLICK TO SEE PHOTOS OF ALL MENU ITEMS! 2017 Chocolate Studio <– CLICK TO SEE PHOTOS OF ALL MENU ITEMS! Coastal Eats – NEW! <– CLICK TO SEE PHOTOS OF ALL MENU ITEMS! 2017 Craft Beers <– CLICK TO SEE PHOTOS OF ALL MENU ITEMS! Earth Eats from The CHEW — NEW! <– CLICK TO SEE PHOTOS OF ALL MENU ITEMS! 2017 Farm Fresh <– CLICK TO SEE PHOTOS OF ALL MENU ITEMS! Flavors from Fire – NEW! <– CLICK TO SEE PHOTOS OF ALL MENU ITEMS! 2017 France <– CLICK TO SEE PHOTOS OF ALL MENU ITEMS! 2017 Germany <– CLICK TO SEE PHOTOS OF ALL MENU ITEMS! 2017 Greece <– CLICK TO SEE PHOTOS OF ALL MENU ITEMS! 2017 Hawai’i <– CLICK TO SEE PHOTOS OF ALL MENU ITEMS! 2017 Hops & Barley <– CLICK TO SEE PHOTOS OF ALL MENU ITEMS! 2017 India <– CLICK TO SEE PHOTOS OF ALL MENU ITEMS! 2017 Intermissions Cafe <– CLICK TO SEE PHOTOS OF ALL MENU ITEMS! 2017 Ireland <– CLICK TO SEE PHOTOS OF ALL MENU ITEMS! 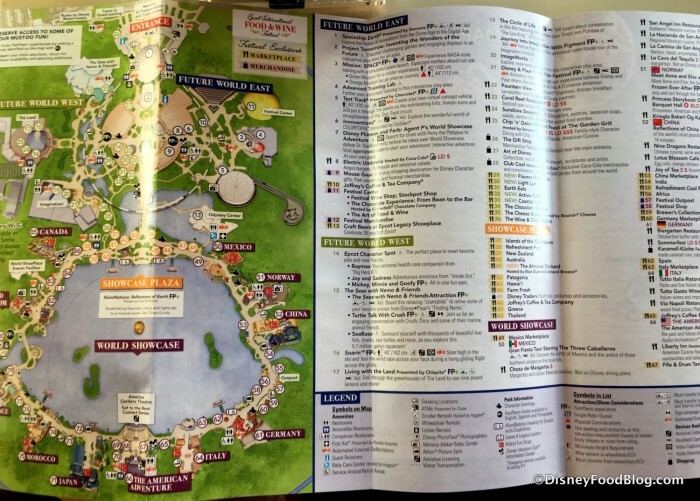 2017 Islands of the Caribbean <– CLICK TO SEE PHOTOS OF ALL MENU ITEMS! 2017 Italy <– CLICK TO SEE PHOTOS OF ALL MENU ITEMS! 2017 Japan <– CLICK TO SEE PHOTOS OF ALL MENU ITEMS! Light Lab – NEW! <– CLICK TO SEE PHOTOS OF ALL MENU ITEMS! 2017 Mexico <– CLICK TO SEE PHOTOS OF ALL MENU ITEMS! 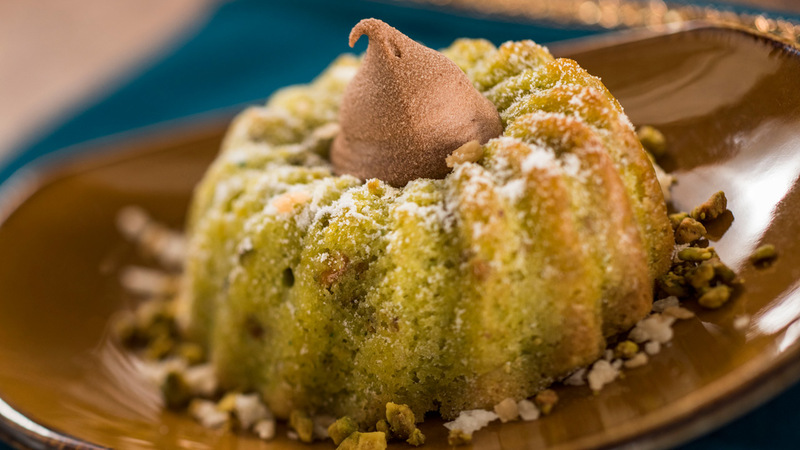 2017 Morocco <– CLICK TO SEE PHOTOS OF ALL MENU ITEMS! 2017 New Zealand <– CLICK TO SEE PHOTOS OF ALL MENU ITEMS! 2017 Patagonia <– CLICK TO SEE PHOTOS OF ALL MENU ITEMS! 2017 Refreshment Cool Post <– CLICK TO SEE PHOTOS OF ALL MENU ITEMS! 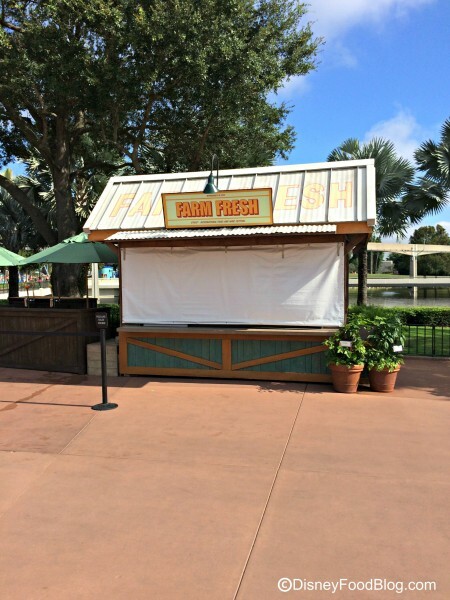 2017 Refreshment Port <– CLICK TO SEE PHOTOS OF ALL MENU ITEMS! 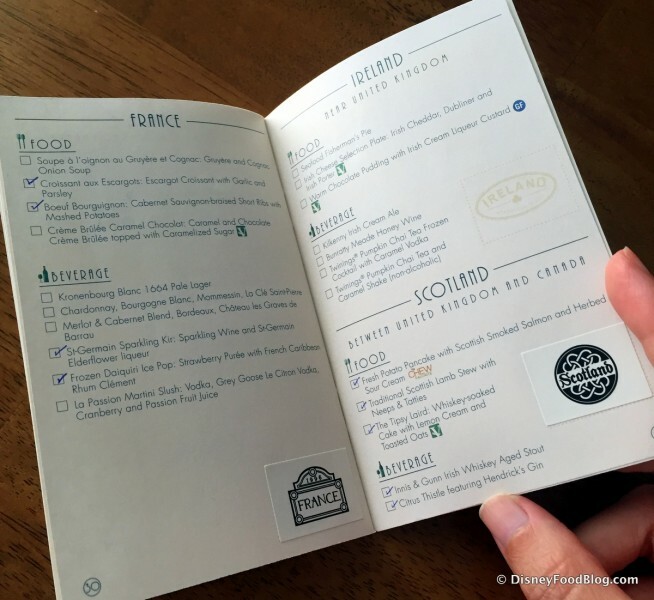 2017 Scotland <– CLICK TO SEE PHOTOS OF ALL MENU ITEMS! 2017 Spain <– CLICK TO SEE PHOTOS OF ALL MENU ITEMS! Thailand — Newly Returning! <– CLICK TO SEE PHOTOS OF ALL MENU ITEMS! 2017 Wine and Dine Studio <– CLICK TO SEE PHOTOS OF ALL MENU ITEMS! 2017 Block & Hans <– CLICK TO SEE PHOTOS OF ALL MENU ITEMS! 2017 Joffreys Coffee and Tea: Coffee Carts <– CLICK TO SEE PHOTOS OF ALL MENU ITEMS! 2017 The Chocolate Experience <– CLICK TO SEE PHOTOS OF ALL MENU ITEMS! No matter how familiar you are with Epcot, you’ll want to pick up a park map, which designates the location of each Marketplace Booth throughout the Festival (click the image to enlarge). 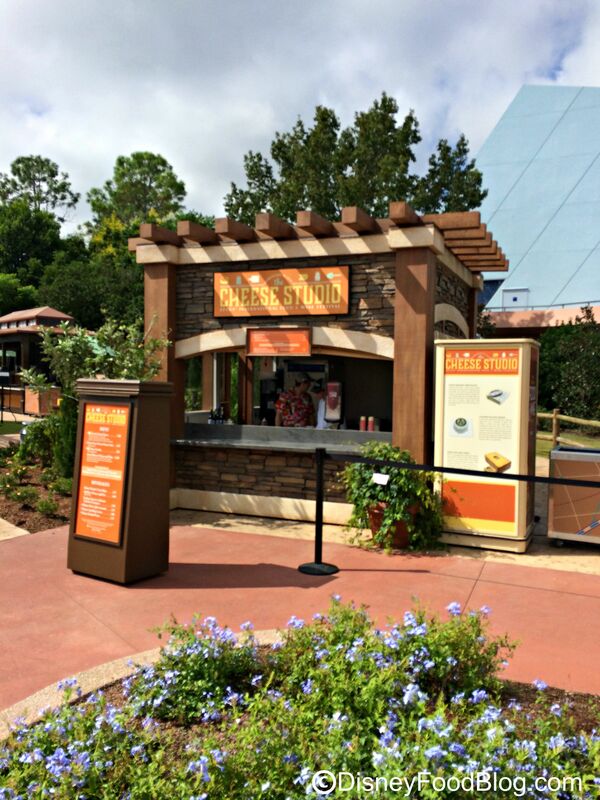 Set up around the World Showcase, individual kiosks will offer international and regional dishes to enjoy. Small plates and beverages were priced in 2016 between $3-$8 and most give guests the chance to try specialty recipes from locations around the world! We’re getting a sneak peek at menus for two brand new booths — India and Spain! We can’t wait to try all that these new spots have to offer! 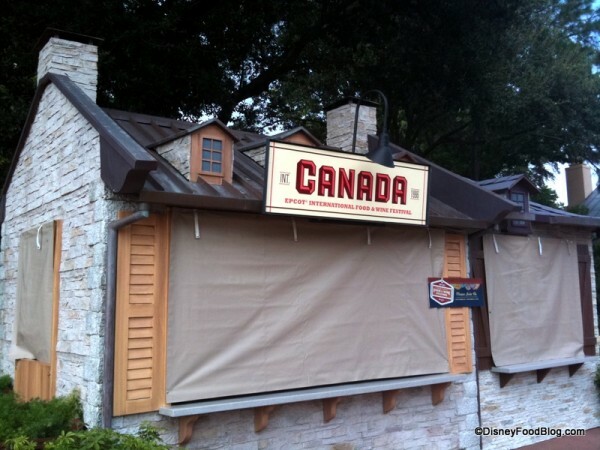 It’s not the Epcot Food and Wine Festival without a visit to the event’s most popular spot — the Canada Booth! 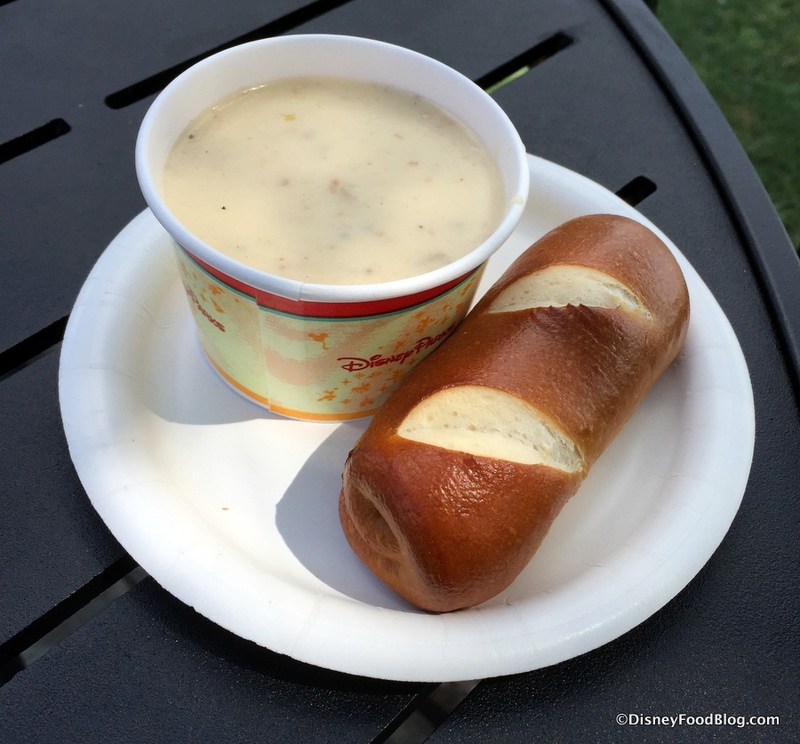 Get a bowl of Canadian Cheddar Soup with a Pretzel Roll. It’s a festival rite of passage! We can’t wait to check out the new Cheese Studio, which returns this year, hosted by Boursin! Farm Fresh also debuts a new dish in 2017 — crispy chicken with griddled cornbread and red-eye gravy! 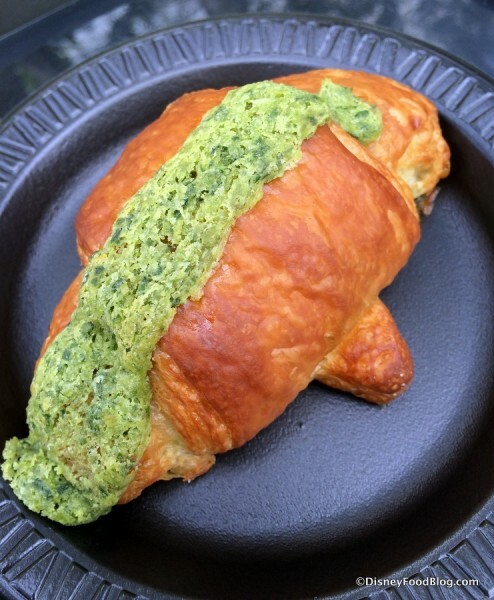 Don’t miss a stop at the France Booth for some truly memorable and delicious eats. Pair your dish with a grown up Slushy or Kir for a treat! Beer portions were changed a few years ago. Individual beer servings topped out at 6 ounces, while flights featured four 4-ounce pours. In 2016, beer was $3 – $5 for 6oz. options, and around $9.25 for most flights. Flights have been on again, off again, so it’s hard to tell what 2017 will bring. Most wines were $2.50 – $4.75 and mixed drinks averaged $7 – $9. We will keep you posted about sizes in 2017. Stay tuned for all of the details! The free Marketplace Discovery Passports will also return this year. In 2016 — gluten free, vegetarian, and kid-friendly items were noted. But the stamps of previous years were gone. Instead, stickers were included with your passport. 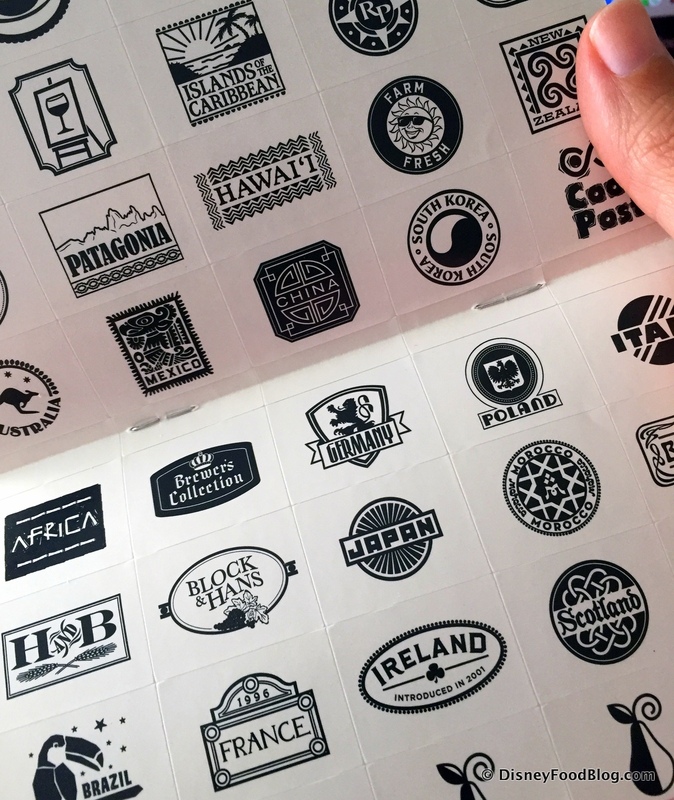 Once you visit a booth or try an experience, add the sticker to that page. It’s that simple!